Now you can rack up even more savings by taking your cloth diapers on the go! Thirsties’ new Wet Bag, a fashionable, yet practical solution for storing your soiled diapers. 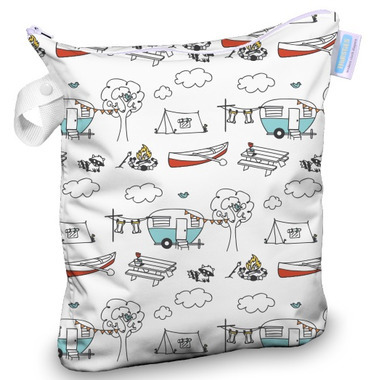 Go ahead, tuck this handy tote into your pocket or diaper bag and you’ll find it’s not just a perfect spot for your diapers, but also swimwear, towels, or anything that gets wet while you’re on the go. 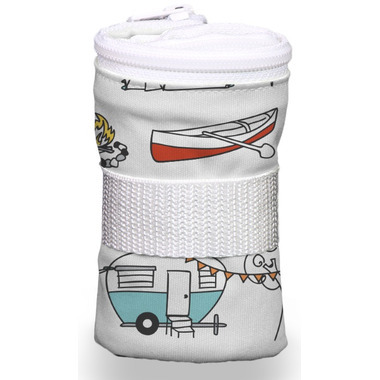 Thirsties Wet Bag is suitable storage for a full day away from home as it can hold up to eight diapers. Waterproof TPU laminate and fully-taped waterproof seams prevent leaking and wicking keeping everything else in your bag dry. The cute, color-coordinated snap handle may be used to hang from a doorknob or to wrap the wet bag for easy storage in a diaper bag. Cute and well made wet bag.